Luxury women's speciality store, bringing you the latest designer pieces to enhance your already fabulous style! Wow, I am amazed how quickly 2014 went by, but sometimes the best times always seem to move at a faster clip! It was such a great year for Leigh’s and I want to thank you for making it so wonderful. As you know, we are passionate about what we do; bringing the very best fashion the market has to offer right here to West Michigan for you…..our amazing customers. You get it all from us….clothing, shoes, accessories and cosmetics and we love enhancing your own personal style all while delivering you an exceptional Leigh’s experience. As I reflect on some of the new labels that we had in store for you in 2014, it makes me smile….Stella McCartney, Band of Outsiders, 10 Crosby Derek Lam, Derek Lam main collection, vintage Chanel and Louis Vuitton, Michael Kors, Barbara Bui, Monique Lhuillier, Ella McHugh, Wes Gordon,Veil Cosmetics, Damone Roberts, Aerin and so many more. With all this and all of your perennial favorites, it might not surprise you when I share that we had another record year at Leigh’s and were once again voted one of the best women’s stores in Grand Rapids. We are flattered and humbled by this. We know there are a lot of choices out there and that you choose to support our local business not only allows us to be successful but means the world to us. So, thank you. We are also excited about what 2015 has in store….this is our 40th anniversary! Yes, Larry Leigh founded the business in 1975. My partners and I are also celebrating 10 years of owning the business and building the new store. 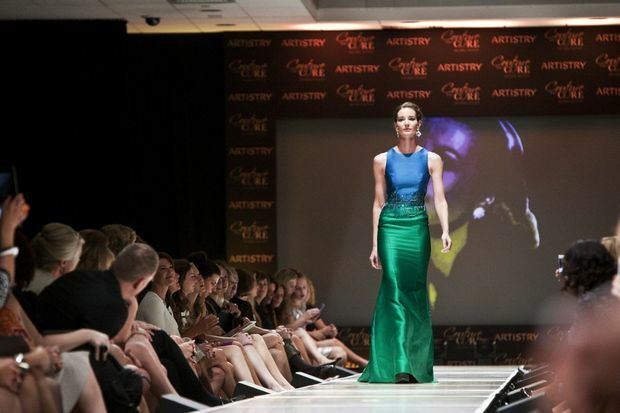 And…this will be our 10th anniversary of our signature runway presentation Couture for a Cure benefiting the Van Andel Institute (October 8…save the date). We’re looking forward to celebrating these milestones with you through out the year. Cheers to 2015! 8th Annual Couture For A Cure Bigger Than Ever! How do you fit 535 people….here it is! Carol Van Andel gives an update on science education at VAI. Jasmine Jones shows us a little Pretty in Punk! Emily Rankin, Brinslee Dykstra and Ashley Cole…wow! What a great pic of Chereita Smith! The beautiful Jordan Carson and Ashley Cole behind the scenes. Rebecca and Gabrielle Wierda..of course I have to post a picture of my daughter…it was her 15th birthday that day! All eyes were on Anna DeBoer in this stunning Carolina Herrera. Molly Ma in Cynthia Rose. 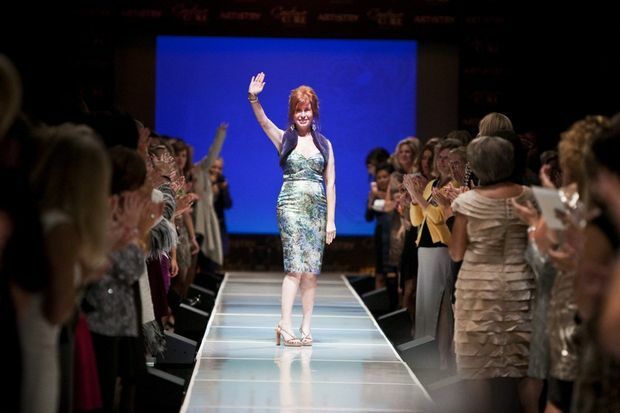 Cynthia Rose takes the runway for a standing ovation. Last year I thought it was the best that it could be and then….I watched this year’s Couture for a Cure in amazement as it once again surpassed last year’s bar (which was set very high)! We had a record crowd of 500+. We raised more money than ever before (stay tuned for exact numbers) for the cutting edge research and science education that occurs at the Van Andel Institute. And, the energy and buzz in the room was extraordinary as our models took the runway with fall fashion that we have in store (styled to perfection thanks to our runway stylist extraordinaire, Patrick Plank). The applause, the pictures being snapped (by professional photographers as well as those attending), the complete engagement of our audience made for an event that was….phenomenal! I am so very proud of my team and each person’s contributions. To put together a show of that caliber is definitely a collaboration of many talented individuals. A special shout out to our creative genius Patrick Plank…wow, Patrick, you did it again! 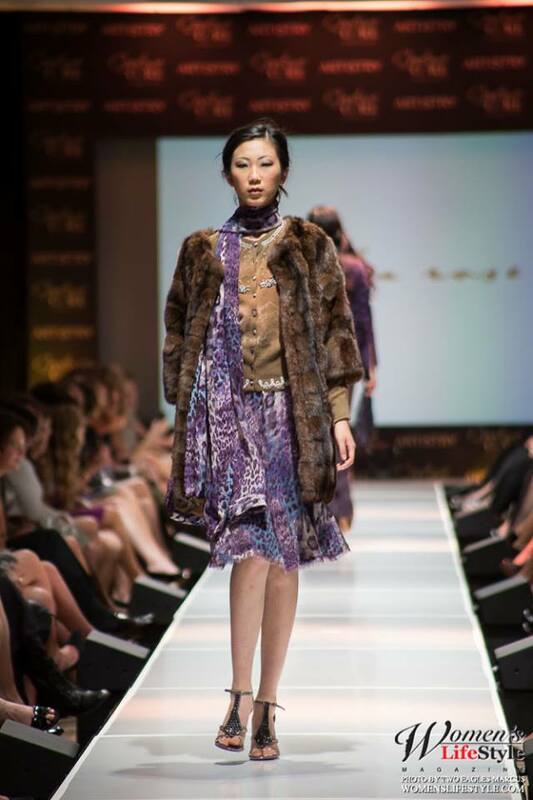 Cynthia Rose…kudos to you for being our guest designer and showcasing your holiday ’13 and spring ’14 collections for the second part of our runway show. Thanks to the team at the Van Andel Institute; you are wonderful to partner with and always committed to excellence. 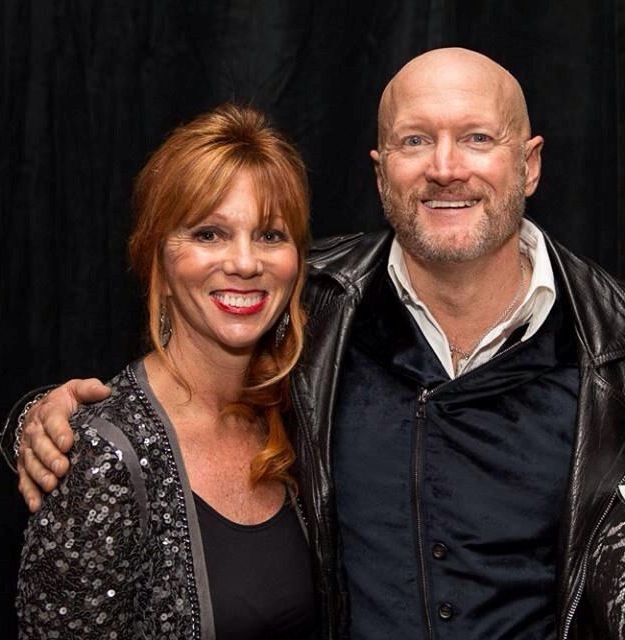 Finally, a huge thank you to everyone who attended….we are appreciative of the support you show to our event. We are honored that we can provide the “fun” that inspires you to give to such a worthwhile organization as VAI. 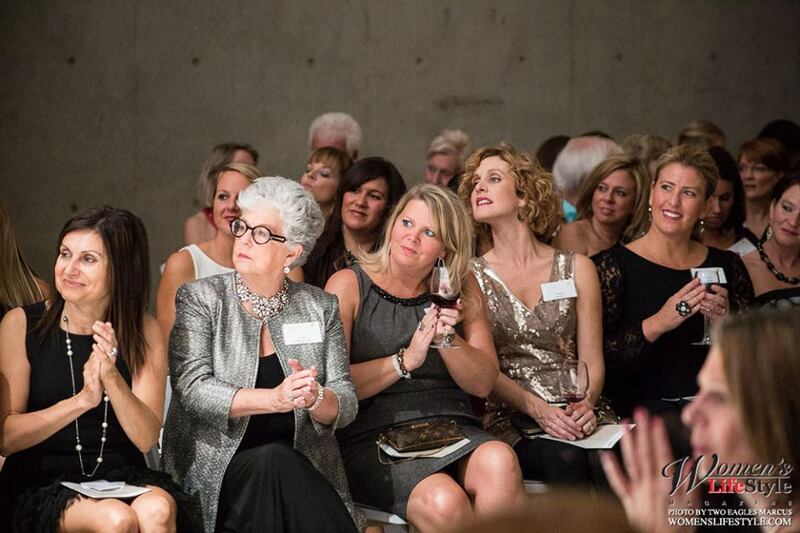 We look forward to seeing you next year for our 9th annual Couture for a Cure! Pic 1: Behind the scences with our amazing Leigh’s team and our beautiful models. Pic 2: What a runway! Pic 3: Leigh’s team and runway event specialists: Katie Oostema, Lesley Goebel, Patrick Plank Pic 4: Daniel Vosovic with Katie Oostema Pic 5: Carol VanAndel with Brooke Hester, 5, of Chapman Ranch Texas. Brooke Hester has stage four neuroblastoma, a form of cancer, and has made improvements working with the Van Andel Institute. Pic 6: Anna DeBoer Pic 7: Aziza Hines Pic 8: Ashley Cole Pic 9: Just like NYC! Pic 10: What a fabulous picture of our models in Daniel Vosovic’s spring ’13 collection. Pic 11: Love the rich color that is on its way for spring from Daniel! What an amazing evening! 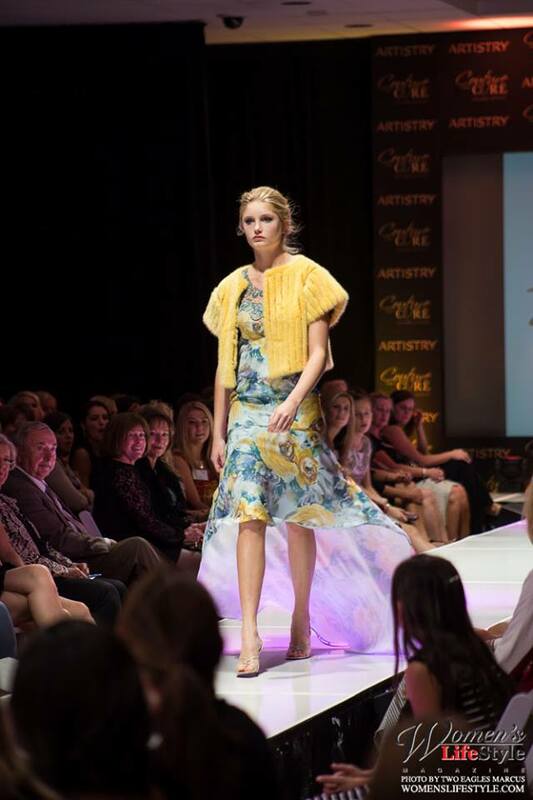 The seventh annual Couture for a Cure in which Leigh’s partners with the Van Andel Institute to raise funds for important cancer research and science education was another success! 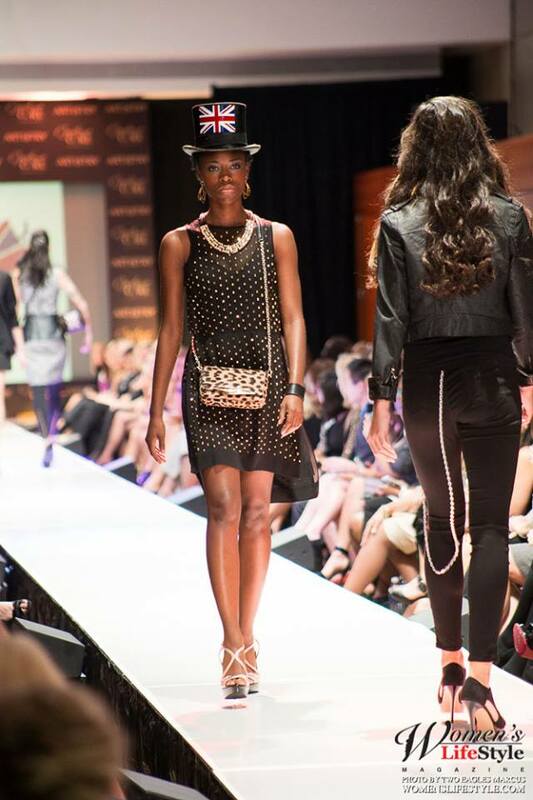 Our New York style runway presentation at VAI made our 400 guests (Yes, the largest attendance ever!) feel like they were at Fashion Week in Lincoln Center! 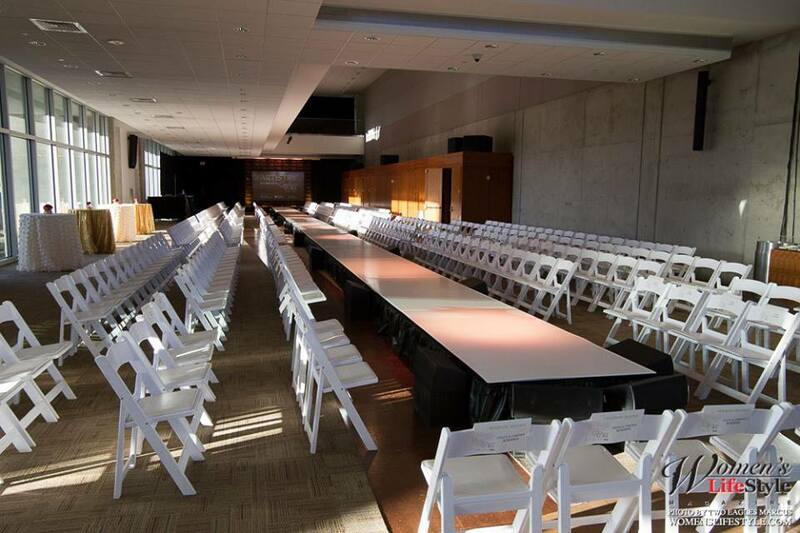 Due to such a high demand for tickets last year, the runway was lengthened another 55 feet this year to accommodate more guests….and the event still sold out! 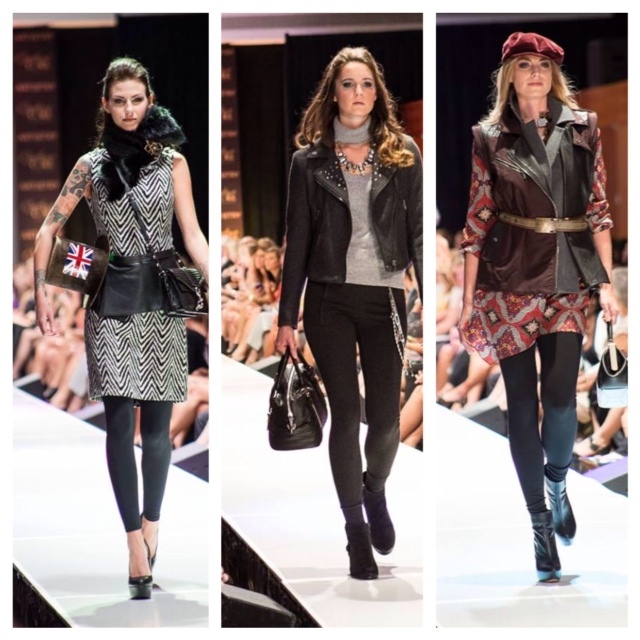 We opened with showing the best of fall fashion that is currently in store at Leigh’s. The four different segments included: Bond Bombshells, Colorful Characters, Rock-Her and After Dark Divas. Then it was time to take a sneak peek at spring 2013. Leigh’s invited New York designer Daniel Vosovic (Project Runway All-Star Challenge winner) to showcase his spring collection on the runway; stunning color and silhouettes! Thank you to everyone who attended! And kudos to my team at Leigh’s; you are all so very talented and I appreciate each of your efforts in making this a fabulous event! 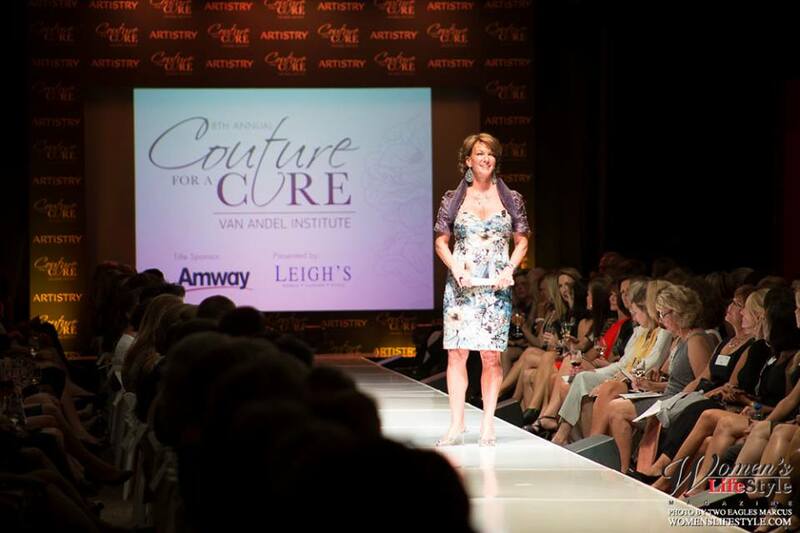 Leigh’s has been a supporter of the Van Andel Institute for the past five years through an event called Couture for a Cure. Every October, Leigh’s presents a New York style runway show of fall fashions that are in our store and, in addition, we host a guest designer from New York to present their spring collection on our runway. 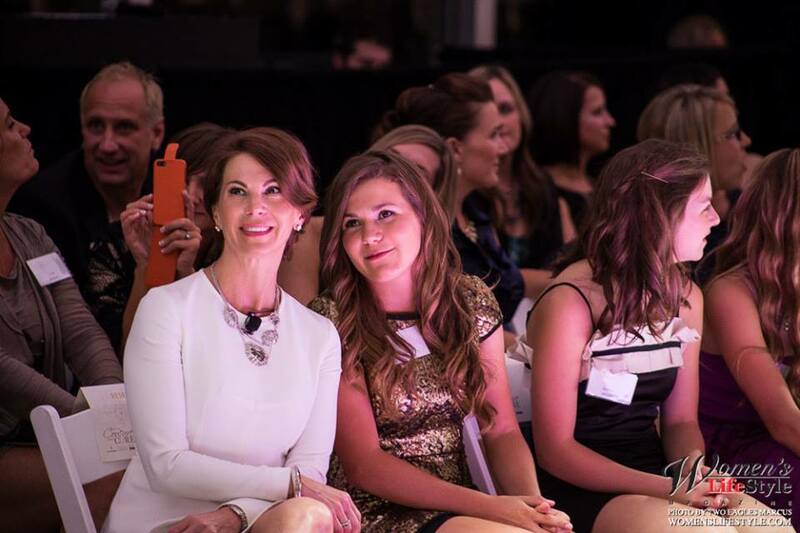 Couture for a Cure is such a successful event and continues to grow in attendance and in funds raised every year. This past Wednesday, I was invited to a special donor reception at the Van Andel Institute. As true with all events at VAI, it was a wonderful gathering. However, I didn’t realize that everyone there was in for a special surprise. David Van Andel, chairman and CEO of VAI, spoke at the event and discussed all the break-through research and educational opportunities that are occurring at the Institute – so impressive! At the end of his remarks, the pipe and draping was removed from the sides and there were two beautiful wood walls with donor names revealed. Yes, Leigh’s was honored on this list. As well as having our store name on the wall, we received this beautiful recognition award. I was so proud of our store and team that I wanted to share this with you and thank you for supporting Couture for a Cure. We are proud, not only to partner with the Van Andel Institute, but many other worthwhile non-profit groups, community or corporate foundations, schools and other organizations to assist in making our West Michigan communities strong and vibrant. It’s important to us to give back to our community! Pic 1: Rebecca Wierda, Douglas Hannant, Carol Van Andel Pic 2: Jacalyn Wood Pic 3: Anna DeBoer Pic 4: Jordan Carsaw Pic 5: Ashley Cole Pic 6: Jessica Hilsey Pic 7: Kelly Ferran Pic 8: Kelsey Mouw Pic 9: Designer, Douglas Hannant with models Emma Hall & Samantha Clark Pic 10: Patrick Plank and Deb Clark – the fashion show experts! Pic 11: Behind the scenes with makeup and hair Pic 12: l-r Kelly Ferran, Jessica Hilsey, Alex Rush, Kelsey Mouw, Ashley Cole, Emma Hall, Jacalyn Wood, Jordan Carsaw, Samantha Clark The 5th annual Couture for a Cure was a HUGE success! Partnering with the Van Andel Institute last Thursday night, Leigh’s showed the best of fall fashion from Leigh’s and flew in New York based designer Douglas Hannant for a sneak peak at spring with Hannant’s spring 2011 collection. VAI was transformed into a chic venue for a New York style runway show that entertained over 250 guests in helping to raise funds for important science research and education at VAI. I’ve posted as many pictures as possible – it was such an amazing evening!! Thank you to the Leigh’s team for all of your hardwork! Thank you to the team at VAI and to Rachael Ruiz from eightWest for your commitment to the event. Thank you to Douglas Hannant for coming to Grand Rapids to treat us to something very special! 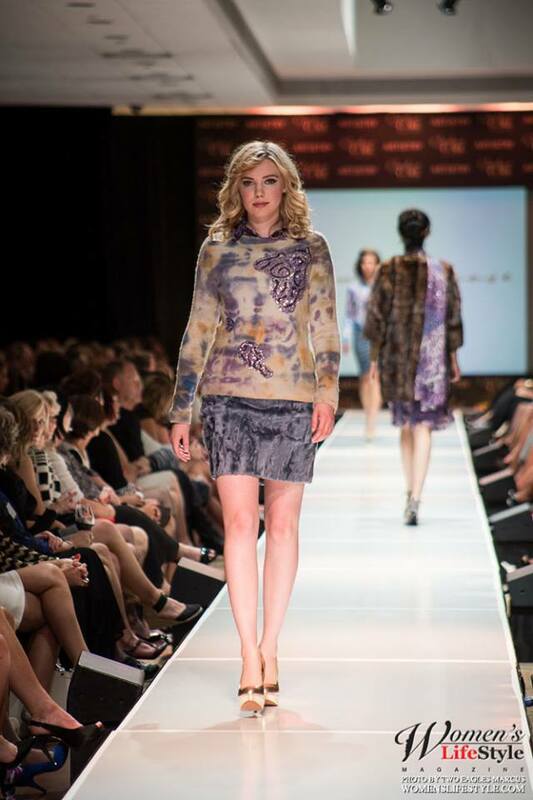 Thanks to our fabulous models – great job! And thank you to everyone who attended – you made the night a success!!! 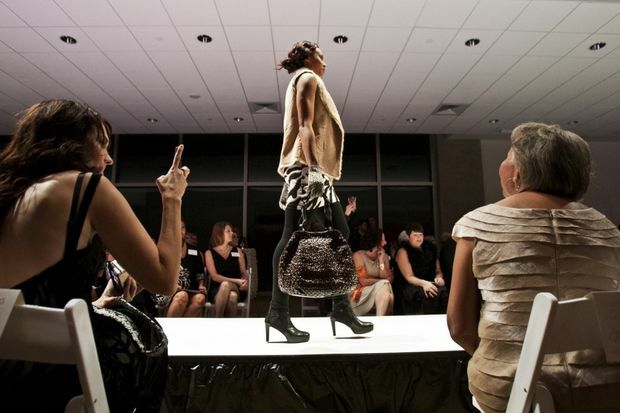 Couture for a Cure 2009 – Another Success! Wow! What a night we had at the Van Andel Institute on Wednesday. Couture for a Cure was a huge success! We had the best attendance ever and why wouldn’t we?….all of the proceeds from ticket sales went directly to VAI to help fund important research and science education. 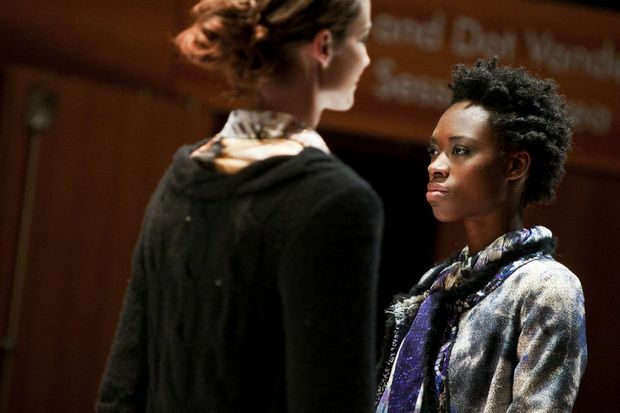 It was a fabulous runway show featuring fall trends from Leigh’s and a sneak peak at spring 2010 with Ruffian’s spring collection. Brian and Claude flew in from NYC to be a part of the event. Rachael Ruiz from WOOD TV’s eightWest emceed the event and did a great job! Hoffman Jewelers donated a gorgeous broach that was raffeled off to a lucky winner. Everyone was festive and enjoying themselves. I have to thank my team for putting together such a great show…the fall fashions were so good…and all from our store! The logistics of the runway show went off without a glitch. Great job everyone! And thanks to everyone who attended and supported the event!! !